CCleaner for Windows is by far the most popular freeware tool for cleaning browser history, cache, cookies, and application temporary files from your PC. 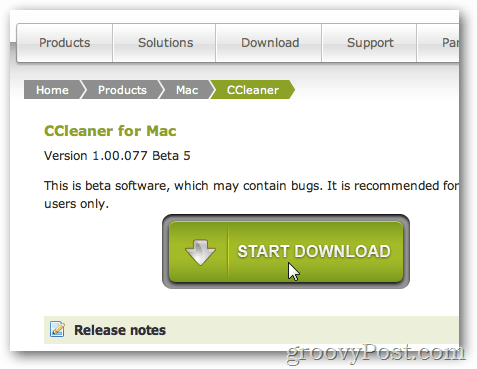 Great news, Pirisoft, the makers of CCleaner has released a public beta for Mac. Here’s where you can download it and a quick first-look screenshot tour. Once the download completes, install and launch CCleaner for Mac. 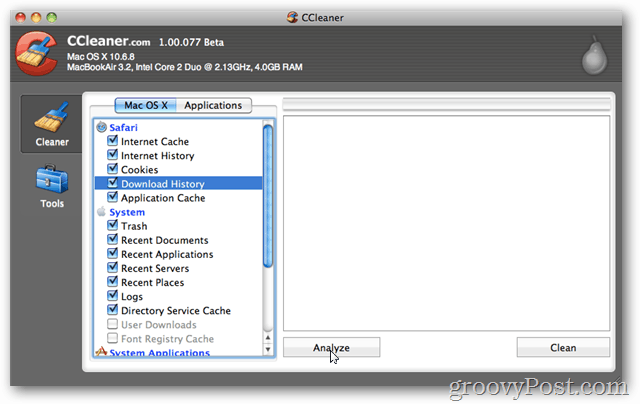 CCleaner has always been easy to use and this new Beta version for the Mac is no exception. 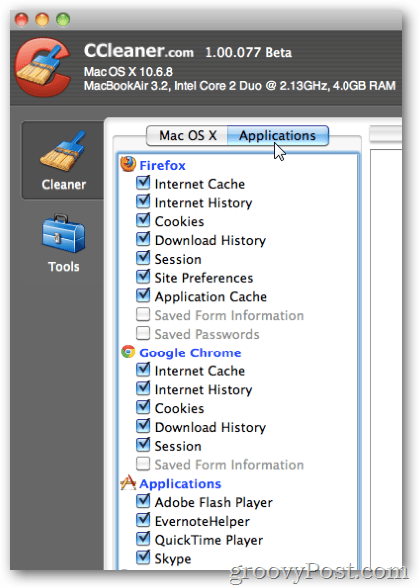 Jump between the Mac OS X or Applications Tab to decide what you want CCLeaner to delete for you. Simply check and uncheck the apps or Mac files you don’t want permanently removed. Before pressing the Clean button, Click the Analyze button to get a report of what CCLeaner will delete for you. Review the data returned from the analysis and click Clean when ready. Once CCleaner is done delete all the files you’ve requested, it will give a nice breakdown of what it did. 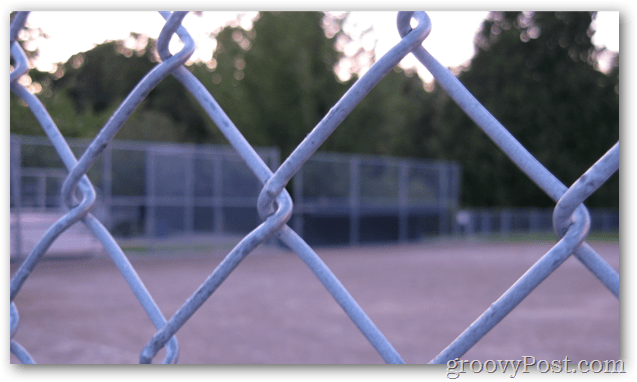 In this beta version, the Tools options are fairly limited. I’m sure this will improve over time. For now, however, the only options available is to have CCLeaner uninstall apps on your Mac for you. A great feature actually. Just Click the App and Click Uninstall. 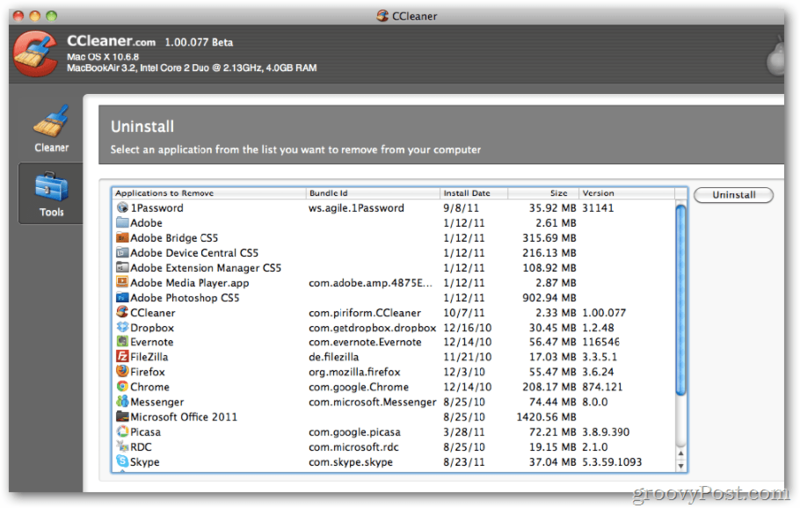 CCleaner has always been one of my favorite freeware applications and I’m happy it’s now available on the Mac. It still has a little ways to go before it matches the Windows version feature-to-feature, however, I still highly recommend it for those who need to clean up their Mac improving both privacy and performance. This article is very useful. I have used my Mac for years and did not notice my disk is consuming by the useless files. This article helped me much. 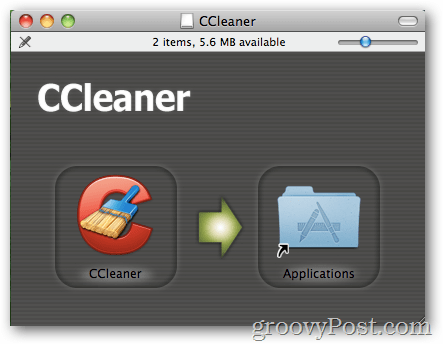 I also found another free cleanup software MacCleaning. It is free and effective.